The rules to participate can be found here. You can make smoothies, shakes, pickles, salads, juices, squash, desserts, ice-creams, kulfis, kebabs, amrakhand, just anything that pings your heart and brain. Super event !! will surly link my entries !! Perfect choice for the season.. Happy hosting!! nice,,,,,,nice..perfect for the season when we're drowning in mangoes...happy hosting. Nice event. 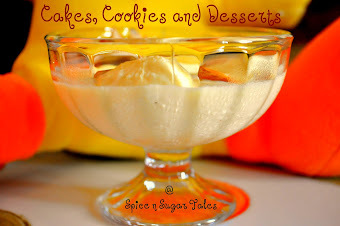 Do join my space here and spread your events www.sarafoodevents.blogspot.com I have posted my entry. "when you are at your mom's place, the world turns into a paradise, rather like a dream world of Cindrella" - agree 1000%! :)Nice event and such an app theme for this time of the year. I will try to join you guys! Hi anjali, thanks for dropping by, so i can still link my entry here as it was done just a week or so before? 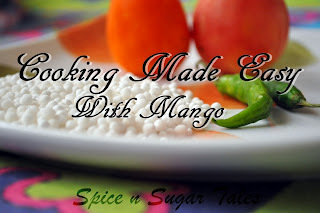 ok added my mango raita and nice event. Anjali: thanks for going through my blog. I am impressed by your event and hence sending Mango Bread Laddoos to your event. Hi I miss ur event :( Nice blog I too followed ur blog.Do plz visit my blog Hi V glad to join this event given by jagruti madam... Plz follow on my blog .Ur blog is awesome.